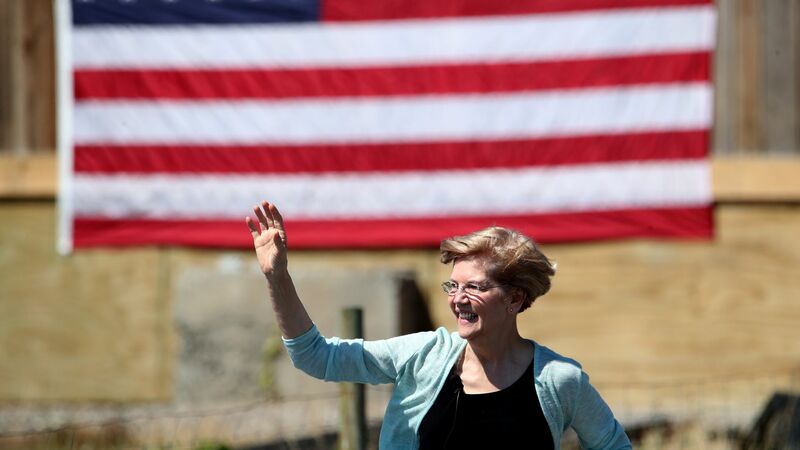 Warren calls out justice system as being "racist...front to back"
At a Q&A hosted by Congressional Black Caucus Chairman Cedric Richmond, Senator Elizabeth Warren said the U.S. criminal justice system is "racist...front to back," the Associated Press reports. Why it matters: Warren, a potential Democratic candidate for the 2020 presidential election, is hoping to pick up more support from the African American community, something Bernie Sanders failed to do in the 2016 election, per the AP. Richmond told the AP ahead of the event that the "biggest political frustration in the African-American community is that we have a bunch of Democrats" who "don't get it — the black experience, the black struggle." Warren's home state of Massachusetts is largely white, with only 10% of the electorate being African American, the AP reports. Former campaign aide for Sen. Bernie Sanders, Aneesa McMillan, told the AP that when it comes to black voters, "[t]here will be a search for someone they can hear and see and immediately identify with...it’s not impossible" for that to be a white candidate.